After years of conspiracy theories, Gotham fans finally got the answer they’ve been waiting for. 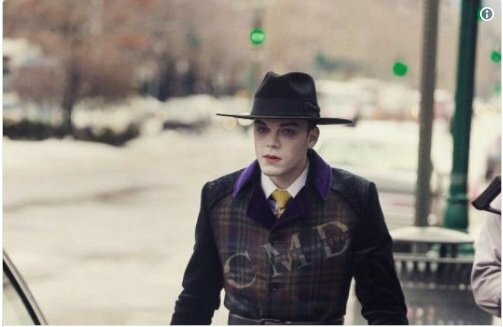 In last week’s episode, Cameron Monaghan’s Jeremiah Valeska – the newly-introduced twin brother of fan favourite Jerome – was infected with some purple gas, which bleached his skin and caused him to erupt into a fit of hysterical laughter. There could only be one explanation: this was the birth of the Joker. Or was it? As it turns out, Jeremiah isn’t the Joker, after all… At least, not yet. ComicBook.com caught up with Gotham exec producer Danny Cannon and pressed him for details on whether Jeremiah would be referred to as the Joker going forward. He revealed that, despite what fans are expecting, this is unlikely to happen. “I don’t think so, no. This is an origin show about the beginnings of everything, therefore we just wanted to do the beginnings of why. When we first did the pilot, we were trying to create a world where someone like Batman would be necessary, and that’s what we’ve done these last four years. If you want to survive as a villain in Gotham, you’ve got to think big. Cannon’s comments lampshade perhaps the biggest alteration to Batman mythology that Gotham has made. In most incarnations, there’s some ambiguity over whether the Dark Knight’s presence is the real reason for the many crazy supervillains that plague the town. In the prequel show, however, these costumed freaks rum amok through the city long before Bruce Wayne decides to don some pointy ears. 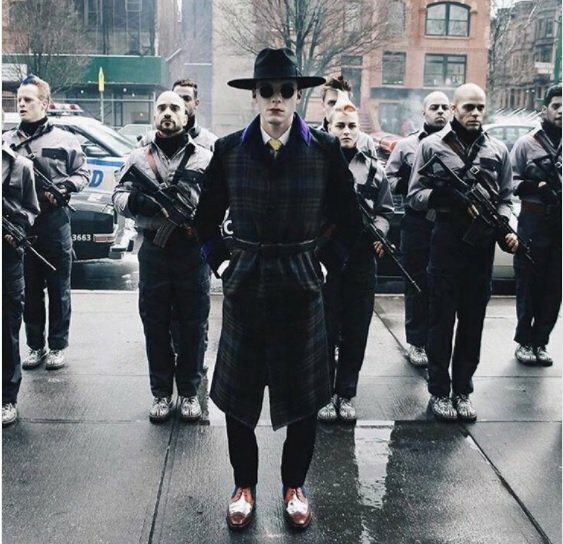 Even if Gotham won’t actually go so far as to rechristen Jeremiah as the Clown Prince of Crime, that doesn’t mean he won’t start to look the part. After all, set photos have seen Monaghan decked out in some purple threads that resemble a cross between Jack Nicholson and Jared Leto’s fashion sense in the role. Regardless, we’ll see what havoc the Joker Jeremiah will wreak on Bruce Wayne’s hometown as Gotham season 4 continues to unfold this Thursday on Fox.